This page provides highlights of the 2016-17 plan and links for enrollment. See also the 2017-18 plan, which is available for purchase approximately August 1, 2017. To save money on health care, currently enrolled U-M students on the Ann Arbor campus should visit UHS first. See First, go to one of these Preferred Providers. Why buy this health insurance plan?  It covers U-M students and their spouses, significant others and dependents. It provides a wide array of benefits, including prescription drug coverage. It is sponsored by U-M in collaboration with Central Student Government (Ann Arbor campus). It complies with the Affordable Care Act. Coverage is comparable to a "gold" plan on insurance exchanges. Participating health care providers are available throughout the U.S.
For Ann Arbor students: You should have health insurance to help cover products and services not covered by the health service fee. Health insurance is not required to receive care at UHS. Many UHS services are covered by the health service fee (part of tuition) when a student is enrolled for classes for the current semester on the Ann Arbor campus. See Who Can Use UHS? for information about eligibility to use UHS and Free or Fees for Students for coverage through the health service fee. After the enrollment deadline, only those students who have involuntarily lost health insurance coverage through a Qualifying Life Event are eligible to purchase the plan, limited to within 31 days after the Qualifying Life Event. University Health Service: Currently enrolled U-M students on the Ann Arbor campus should visit UHS (207 Fletcher St) first to save money. Many UHS services are covered by the health service fee when a student is enrolled for classes for the current semester on the Ann Arbor campus. See Who Can Use UHS? for eligibility to use UHS, Free or Fees for Students for what's covered, and Schedule an Appointment to arrange a visit. Call Aetna at 800-242-3721, or go to the Aetna website , click on Find an Doctor, Hospital or Pharmacy and follow instructions. Annual Installment Payments: This is an annual plan for the entire policy year. You may elect the annual installment payment, which consists of three payments. Premium payments for Periods 2 and 3 will AUTOMATICALLY be charged to the same form of payment used for Period 1. An email notification will be sent 14 days prior to the next payment due date. If your credit card is denied, you will be given the opportunity to provide alternative payment details, but this must be received no later than the deadline as listed below. No late enrollment is allowed. Once Annual Installment Payments are chosen, there are no cancellations and no refunds other than described in (pending). Exclusion for Sanctioned Countries: If coverage provided by this policy violates or will violate any economic or trade sanctions, the coverage is immediately considered invalid. For example, Aetna companies cannot make payments for health care or other claims or services if it violates a financial sanction regulation. This includes sanctions related to a blocked person or a country under sanction by the United States, unless permitted under a written Office of Foreign Asset Control (OFAC) license. For more information, visit Sanction Programs and Information, US Department of the Treasury. SHIC negotiates this insurance plan for students and addresses domestic student health insurance issues. See Student Health Insurance Committee for more information.